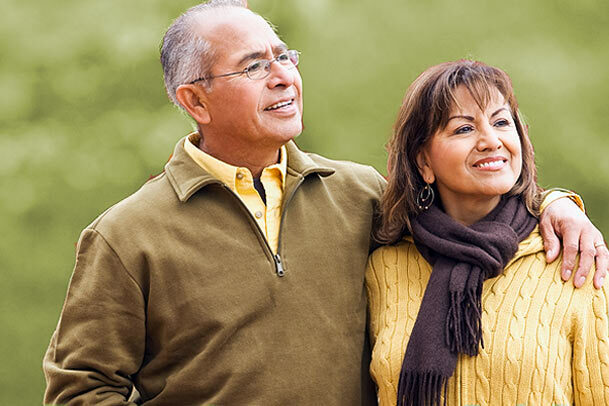 McAllen Medical Center provides diagnosis and treatment for lung disease. We’ll help you understand pulmonary disease and how it affects your body so you can learn new ways to improve your activities of daily living, better manage your condition and increase your strength and endurance. To find a doctor for lung and respiratory care, call the South Texas Health System Reserve and Learn line at 800-879-1033. Treatment and rehabilitation are always individualized and emphasize exercise and education. Bronchial thermoplasty is a minimally invasive surgical procedure performed at McAllen Medical Center that may provide relief to those suffering from severe asthma. Schedule yours today! Early detection can significantly improve your chances of surviving lung cancer. There are many types of lung diseases. People who suffer from lung disease have difficulty breathing. Lung disease can refer to many disorders that affect the lungs such as asthma, chronic obstructive pulmonary disease, infections like influenza, pneumonia and tuberculosis, lung cancer and other breathing problems. Tuberculosis (TB) is a chronic bacterial infection that can infect the lungs. There are three ways to describe the stages of TB. A physician will administer a TB test to determine if you have tuberculosis. Treatment for tuberculosis can include specific medications and may include short-term hospitalization. Emphysema is a type of chronic obstructive pulmonary disease involving damage to the air sacs in the lungs. As a result, your body does not get the oxygen it needs. Emphysema makes it hard to catch your breath. You may also have a chronic cough and have trouble breathing during exercise. The most common cause is cigarette smoking. If you smoke, quitting can help prevent you from getting the disease. If you already have emphysema, not smoking might keep it from getting worse. Exposure to air pollution, such as chemical fumes, can also cause an obstruction of airflow, leading to the development of pulmonary emphysema. Treatments include inhalers, oxygen, medications and sometimes surgery to relieve symptoms and prevent complications. Pneumonia is an inflammation of the lung, usually caused by an infection. The most common causes are bacteria, viruses and fungi. People with pneumonia may have difficultly breathing and have a cough and fever. Chest X-rays are taken to determine what is wrong. Antibiotics are used if bacteria are the cause, whereas rest and drinking fluids may help with viral pneumonia. It is easier to prevent pneumonia than to treat it. To ensure the best chance of not developing the illness, wash your hands frequently and wear a mask when cleaning dusty or moldy areas. Influenza, or the flu, is a respiratory infection caused by a number of viruses, which enter the body through the nose or mouth. People can mistake the flu for other illnesses. Symptoms of flu are body aches, chills, cough, fever, headache and sore throat. Compared to the flu, a cold rarely cause a fever or headache. The flu also doesn’t cause an upset stomach. Getting a flu shot or nasal spray vaccine can decrease your risk for becoming infected. According to the American Lung Association, the best time to get the vaccine is in September or October, as the flu season lasts through March.